The photographer labeled this picture "center of island." This is a photograph of the home of a poor peasant family. 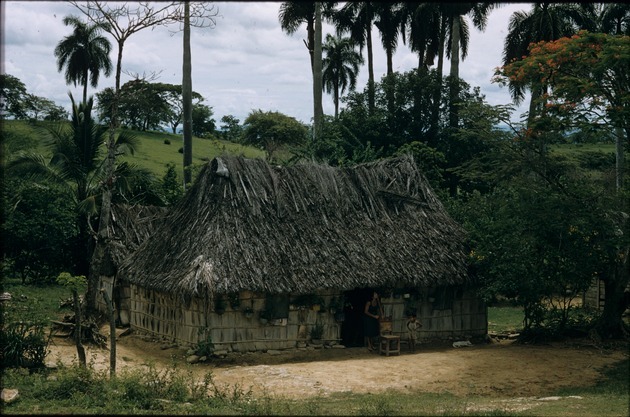 The home is of the bohio, thatched palm wood huts On the bottom of the outside walls you can see large rocks that are placed there to help with the rough winds, particularly during the hurricane season. There are many flowers pots hanging from the house as decorations. A mother and child are standing in front of the house while a dog lays asleep a few feet away. The back of the house is lined with royal palm trees.